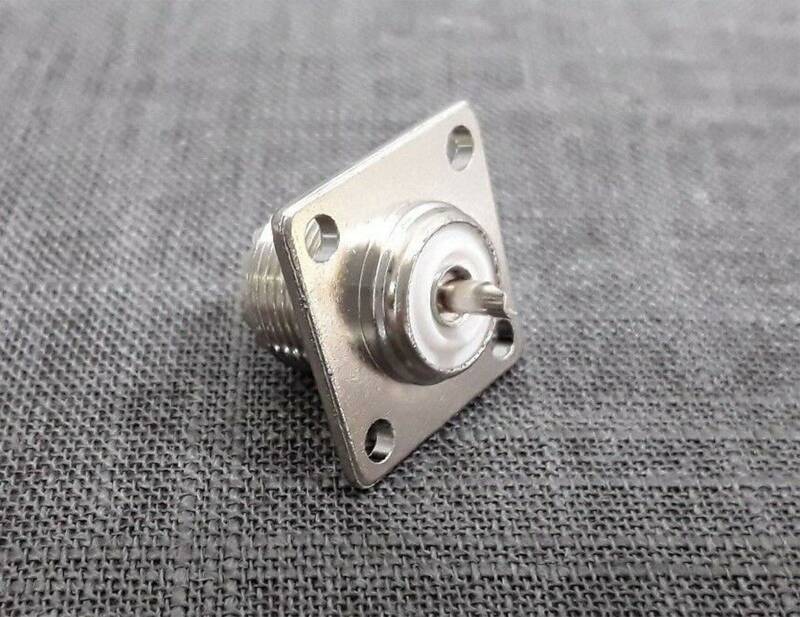 Steren UHF female (SO-239) panel mount connectors with a 4-hole flange and solder cup (screws are not included). 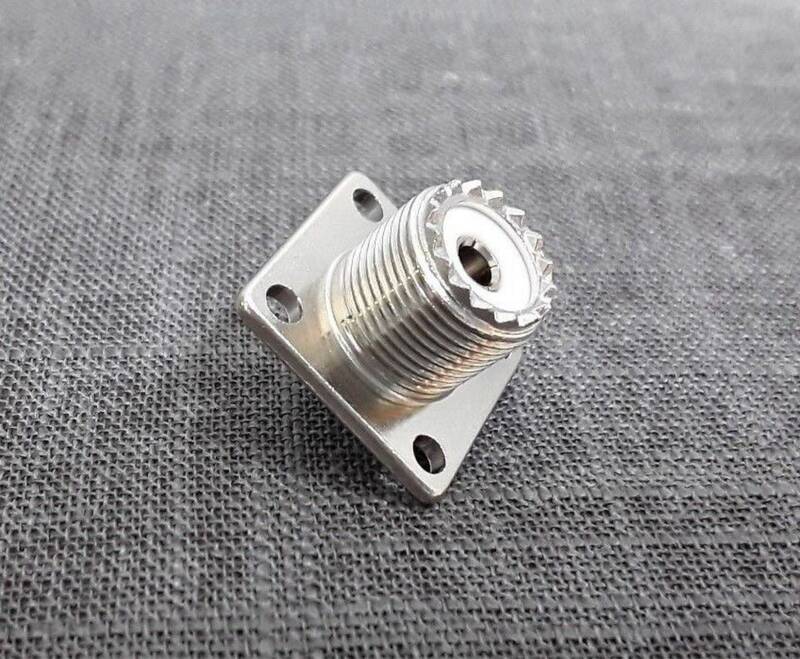 Connector is constructed of nickel plated brass with Delrin insulators. Thank You for Looking !!!! !